For those born in January, Garnet is your birth stone! Garnets come in a wide array of varieties and colors based on their chemical compositions. You may have heard of Pyrope, Almandine, Spessartine, Grossular , Hessonite, Tsavorite, Uvarovite or Andradite. These are all species of Garnets! Garnets occur in a rainbow of colors including pink, brown, black, green, blue, purple, orange, red, yellow and even colorless. The most well known color of garnet is the transparent blood red or deep crimson tone that many people are attracted to found most commonly in Almandine Garnet. 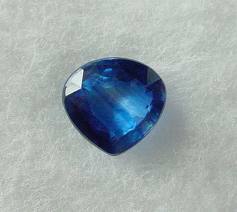 The rarest color of Garnet is the Blue Garnet which also has the ability to change its color under incandescent light. Because the chemical makeup of Garnet can vary greatly depending on the variety, it also can score differently on Moh’s scale of hardness. Generally speaking, Garnets register a 6.5-7.5 on the scale. Garnets have been well loved and used in jewelry and art since the Romans ruled the world. In fact, the name for garnet is derived from the Latin word for pomegranate, due to the deep red color of many of the gems. The Romans and subsequent Barbarian cultures that occupied former Roman lands used the gem in a cloisonné technique inlaid in gold to depict artistic scenes and designs. Today, we use them mostly in either cut gem or druzy style jewelry. It is the state gem of both New York and Connecticut. Some unexpected industrial uses of garnet are as an abrasive for sandpaper and sand blasting, as well as an element in certain types of filtration systems. Garnets are thought to be a protective gem for those on journeys. Giving Garnet as a gift can be interpreted as a symbol of love and wishes for safe travel and a speedy return home. Do you know any globe trotters who might benefit from some Garnet? Check out these finds in Garnet from Layne Designs. 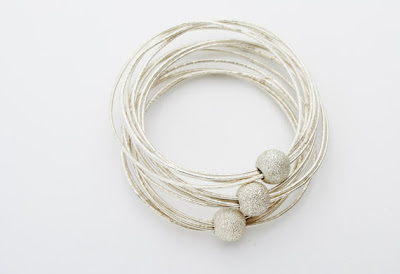 Trend Watch: Your Out of this World Winter! The first month of 2012 has already brought a variety of fun new fashion trends headed our way thanks to London Fashion week just around the corner next month. One trend featured in the January issue of Marie Claire that is funky and perfect for the transition from winter into spring is the something that I like to think of as the Cosmic or Space Age trend. It features clothing and accessories in metallic and iridescent sheens as well as “electric” tones and colors. Think saturated lime greens and cobalt blues. 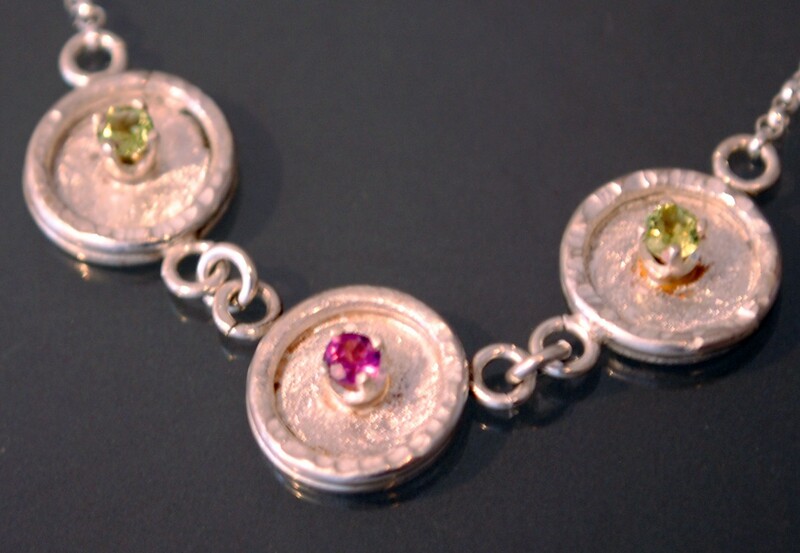 These pieces also often feature sequins, crystals and other elements of sparkle. It’s a modern twist on some of the far out pieces we all remember from the 1980’s. 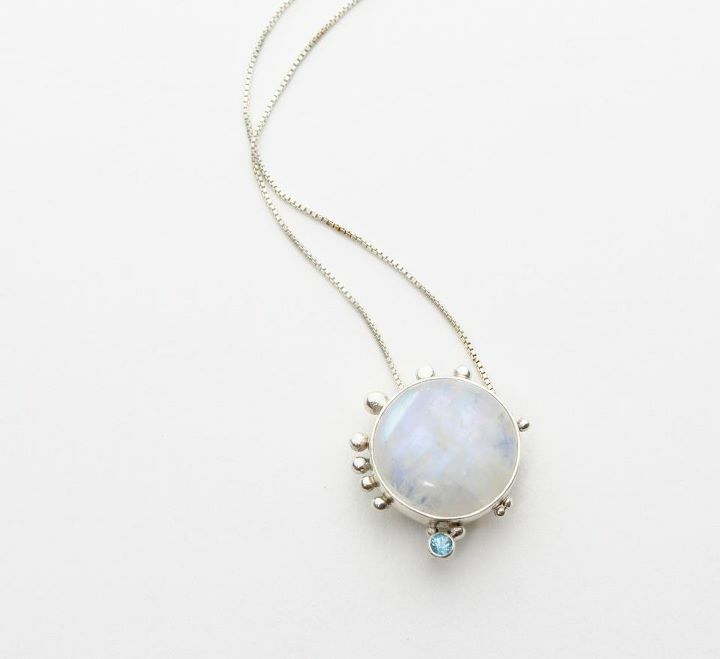 Some perfect gemstones to pair with this look are Moonstone, Labradorite and Opal. All of them embody the luster that perfectly captures this trend. 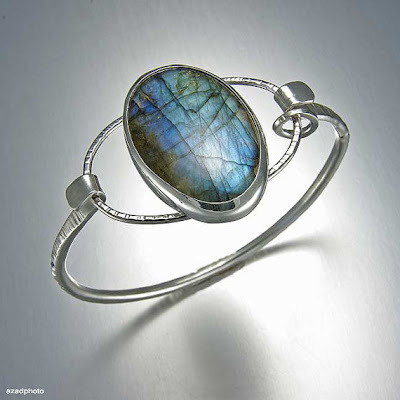 A large stone on a flashy cocktail ring, pendant or bracelet is a perfect compliment for a glitzy jacket or shimmery dress. Also, accessories that resemble spacey kind of look are right on point for this theme. Think of selecting jewelry that is studded or glittery in some sort of fashion. 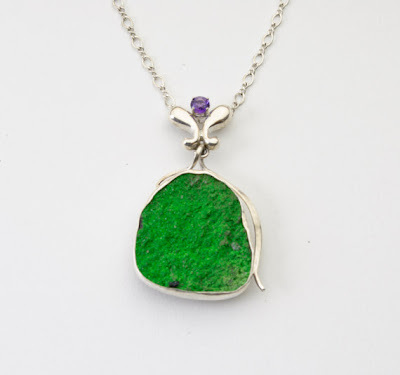 Druzy stones are a good choice for this purpose. 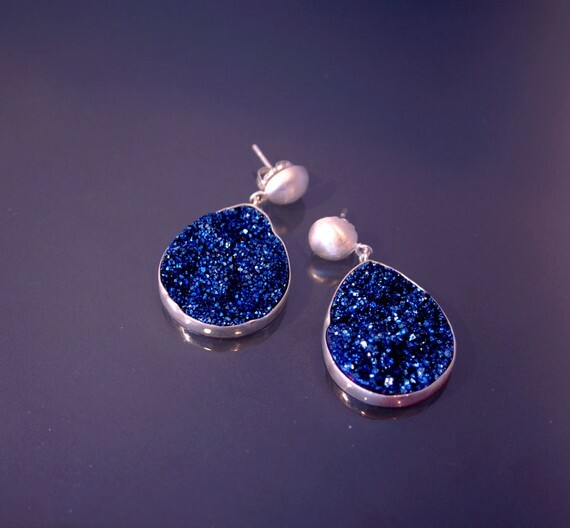 Marcasite jewelry also provides the shimmer that is reminiscent of stars in the sky. Putting any of these elements together is the perfect way to channel your inner cosmic Diva. Check out some of these fabulous on trend selections from Layne Designs.